Walking through the streets of Jerusalem crowded with believers of several faiths, you know you’re in a holy place. During my visit, I wanted to stay in the heart of the old city so that I could experience this energy and spirit. My early morning walks with mothers taking their children to school and evening strolls among the prayerful were everything I had hoped for. While in Jerusalem, I stayed at a guesthouse for pilgrims run by an order of nuns which was located on the Via Dolorosa (or the Way of the Cross). Besides being a welcoming home, the convent had a surprisingly beautiful but quirky church and a basement of archaeological remains dating to the Roman occupation of the city. What more could I ask for?! 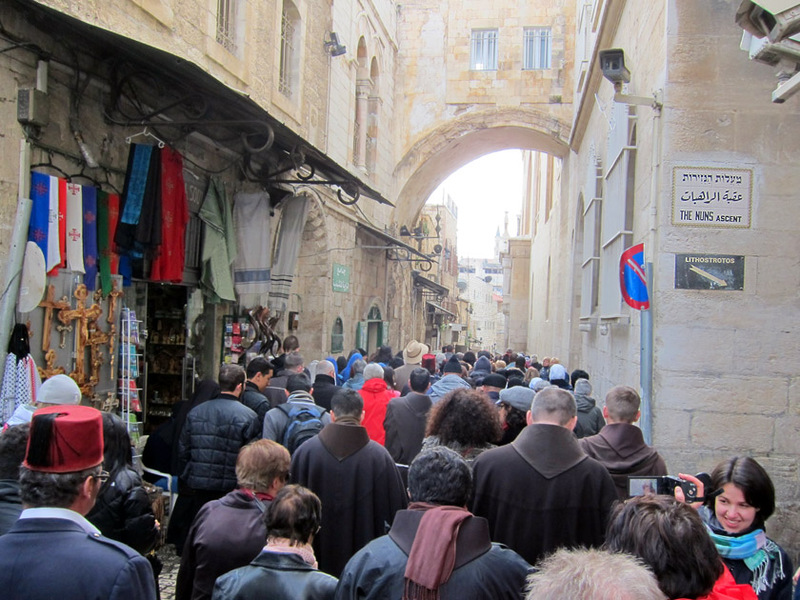 The Franciscans and Catholic pilgrims heading down the Via Dolorosa for the Friday afternoon Stations of the Cross. Note the aptly named alley (“The Nun’s Ascent”) and the public entrance to the Lithostrotos at the right. The monthly ArtSmart Roundtable brings together some of the best art-focused travel blogs to post on a common theme. This month we are discussing Festivals! Take a look at all the great stories at the bottom of the page. 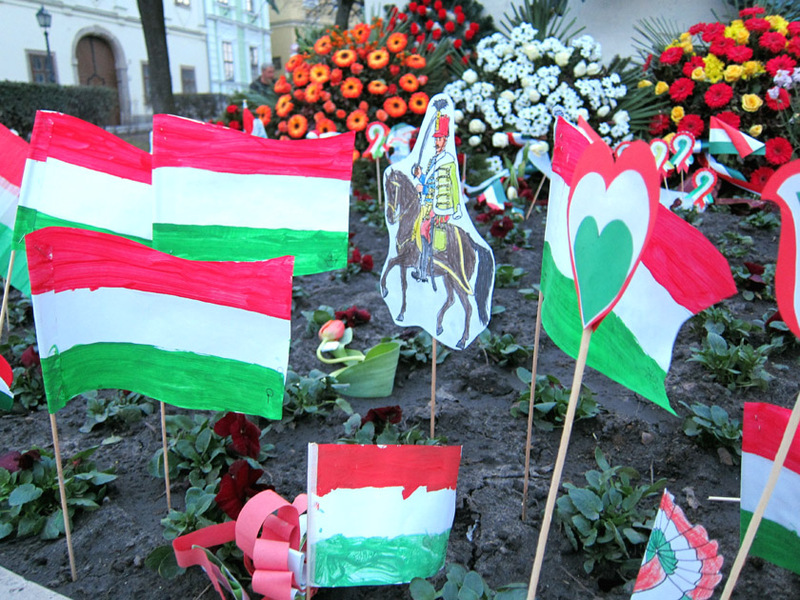 Hand-made items by children decorate the 1849 Hungarian Army memorial. The soldiers honored with this monument died during the 1849 Revolution which is celebrated on Hungarian National Day on March 15. I’ve seen some amazing places in my travels and have always had excellent timing. I’ve met the right person and ended up getting a private castle tour or been in the right place and got swept up in religious procession. Somehow recently I just happened to be in town during a national holiday or religious celebration. But unlike Carnival in Rio, Venice or New Orleans which are internationally know parties, the festivals I found were mainly for the locals. Seeing how a community celebrates with their own customs, foods, and crafts makes for an incredible cultural experience. It has convinced me that if you really want genuine travel, then you have to include local celebrations in your travel plans. Not all the churches in the Holy Lands are old. 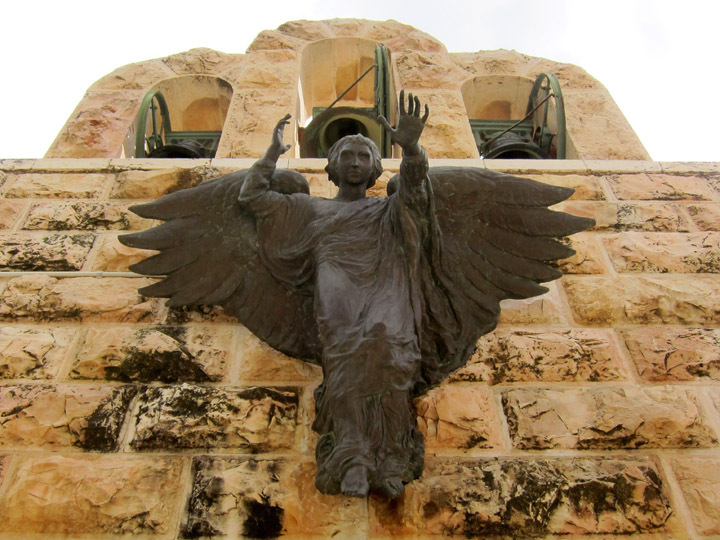 The Church of the Shepherds’ Fields in Bethlehem was constructed in 1954 over some small caves on the outskirts of the city. Traditional holds that these caves were used by Shepherds even in ancient times hence the connection of this site to the Nativity story. The Church has a simple, contemporary ascetic, but by far has the best impromptu choir I’ve ever heard. As I listened to “O Little Town of Bethlehem” on the radio yesterday, for the first time in my life I didn’t picture huts and palm trees like some cartoon Christmas TV special. I thought back to the actual Bethlehem in the West Bank which I visited in the Spring. The old stable of my imagination has been replaced by a drafty Byzantine basilica and the straw by Orthodox icons and lamps. The shepherds and wise men in the Bible story are now an equality diverse group of international visitors. But with all that, the Church of the Nativity still maintains some of the midnight atmosphere and anxious stillness of the first Christmas which is remembered here. Besides seeing the amazing architecture and artistic decorations of the church itself, visiting religious sites always gives me the opportunity to learn about cultural practices. Major destination churches teach me what it means to be a pilgrim by watching how people interact with the place. Maybe more so than regular tourists or travelers, pilgrims understand the personally transformative aspect of their trip and want share it with others after they have returned home. Candle holder just after the Chapel of Golgotha within the Holy Sepulchre. These thin beeswax candles are an important part of Orthodox worship. The Holy Sepulchre in Jerusalem is a holy place for all Christians and as a result, you have a lot of unique worship practices and customs coming together there. Still, everything is rooted in a deep faith and desire for connection to the divine in the church, no matter what language was spoken. Whether through prayers or “making” souvenirs, I also saw a deep commitment from all pilgrims to bring the holy experience back home with them.